This entry was posted on January 5, 2013. Bookmark the permalink. 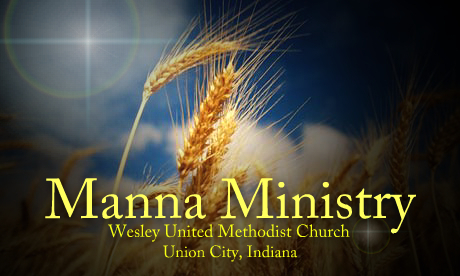 The Manna Ministry helps in emergency situations. We can pay toward a bill, help with gas to get to job interviews or doctors appointments, as well as help with food, cleaning supplies, and personal hygiene items. If you or someone you know needs help or you would like to help with this ministry, please contact Rhonda Fields (937) 417-0382 or Darla Orians (765) 546-1826.